Aarrggh!! No Moratti thread? What the hell! He is without a doubt a great man, with a lot of passion for football and Inter. He has a wonderful relationship with the players. He's a clean man, he doesn't cheat and he's exactly what you see. A man who makes us proud of being Interisti. ""I thank Dr Moratti, president Facchetti and the whole club. They have given me this splendid opportunity to come and play for Inter." How important was the meeting with Massimo Moratti in Forte dei Marmi at the beginning of the week for your transfer to Inter? "It was the last stage that moved me closer to Italy, and therefore to Inter. I was fascinated by the club's project and the size and prestige of the club. This influenced my decision. 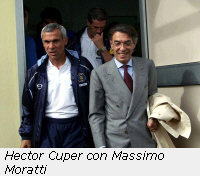 I also felt the affection and respect of Dr Moratti and this was fundamental for my coming to Inter." Some pics of him, if you have any more nice one please post them. I have a feeling this thread will soon be the battleground of the Moratti fans VS the bashers. I will declare my allegiance to the former camp first. Well I've always liked him and I always will. I was just thinking though... if he was as smart as he is ugly we'd have the dumbest f-cking owner in the world. This man has great heart but we paid for his knowlege about football buissness and still pay.Alghout now he improved much after all those years of course. 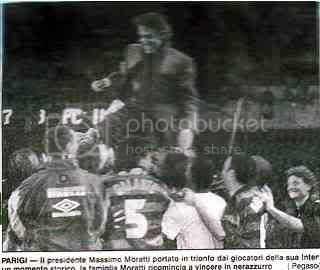 My feelings with Moratti has always been hate & love at the same time. I mean, I just have to look at the past week to do that. I love him from bringing Samuel to Inter but I hate him for bringing Figo here. But all things aside, there is not a single other person that I'd hope would bring us to greatness than Massimo Moratti. For all his dumbness, stupidity & meddlings with the football side of the club, his desire & commintment is unmatched as an owner. No other club owner in this world comes close when it comes to passion to their clubs. As they (I) say, the enemy of your friend is your enemy. 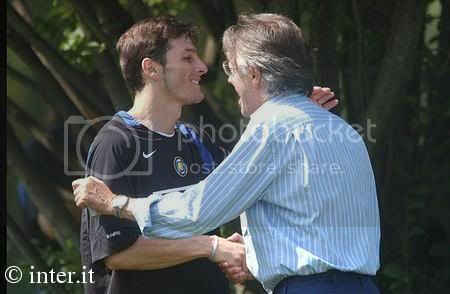 well the pic of him and j.zanetti is really priceless to say the least. I agree with Han. It's truly a love/hate relationship with Moratti. I love him for his honesty and in a league full of corruption, he's as honest as it gets. He also seems genuinely loved by the players. Yet, I also hate him for his rash moves which sometimes end up hurting us more than helping. I'm on Moratti's side he may have made mistakes throwing money around but he did it because he loves the team as much and most likely alot more than all of us and wants to accomplish something great. 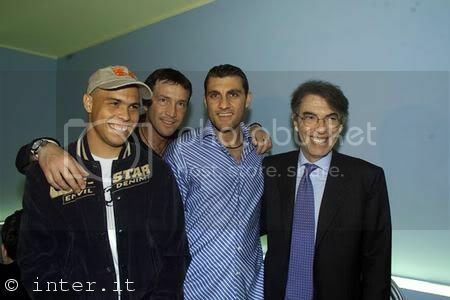 I love that pic with him and zanetti. Great Person, Great Personality ! Maybe im not really in whats really going on with Inter for long time like the most of the guys here, but from what i see, heard and read, i think he is a wonderful person and doing much for Inter for a long time. I haven't always been a big massimo fan but over the last few years I have come to understand why massimo is so great and why we are spoiled to have him as a prez. And I really the move to have Fachetti as the prez and him now only as owner has really helped him and taken a lot of pressure away. Great idea to have this thread. 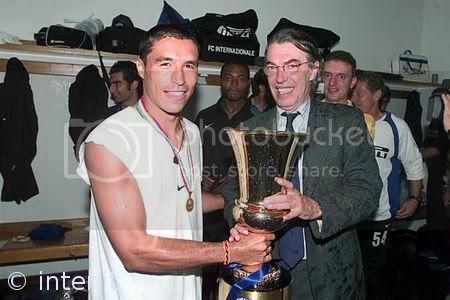 Please Moratti bashers do not wreck it this just to praise our owner a man who has dona too much for the club. His presence has affected us both good and bad but he has always intended to be in the best interests of Inter!! 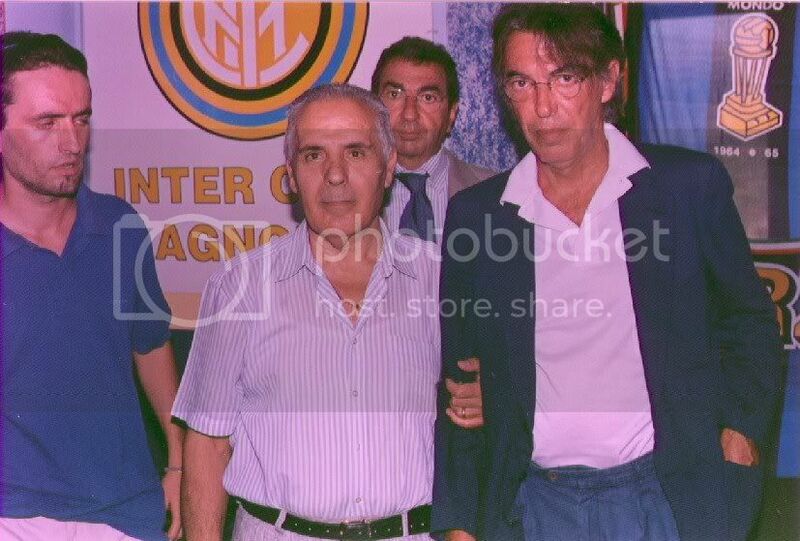 "Dr. Moratti is a real gentleman"
Then he goes on the tell how, in the time when he was coaching Inter he had lots of trouble with the likes of West and Djorkaeff and eventually had to resign in april. The on-topic part is that although he resigned before the end of the season (and the motivation for this was to show that real guilty part for the team underachieving were the players and not the coach), our owner decided to change the contract right then and there and pay Lucescu until the end of the season. The romanian coach says: "Nobody had ever done that before, he showed everybody what a gentleman he is". He also says that Dr. Moratti fully deserves winning the Scudetto for all the money and passion he's put in, and because he's a very special person. 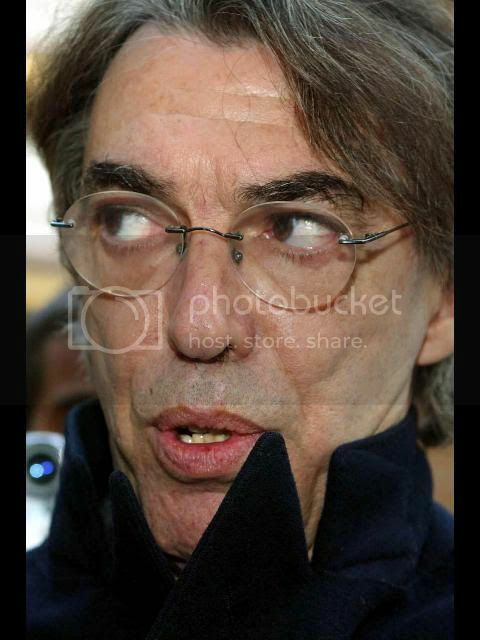 A question, any idea how or why Massimo Moratti got his doctorate title?